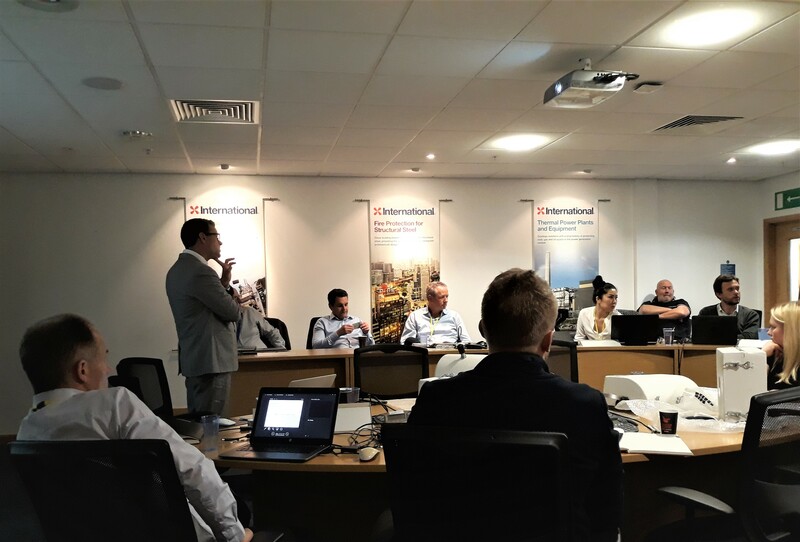 Benarx Solutions in cooperation with International Paint organized a sales training in Felling, UK last week. The training was dedicated to Sales Department of International Paint /AkzoNobel according to the signed a marketing and distribution agreement with Benarx Solutions AS. The agreement allows AkzoNobel to combine their wet-applied fire protection portfolio with Benarx’s dry fit passive fire protection solutions for the petrochemical, oil and gas industry. Thank you all you for the exiting and very valuable sales training in Felling this week. It was very pleasant to meet all of you. Thank you IP for hosting us! 09.03.2018 Benarx has been awarded a contract from DSME (Daewoo Shipbuilding & Marine Engineering) in Korea. The contract consists of insulation cladding to Tengizchevroil.